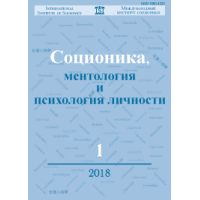 The analysis of the evolutionary characteristics of the formation of the human psyche in the process of anthropogenesis is conducted. 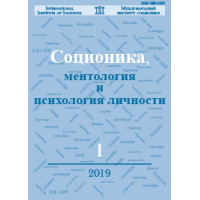 The features of the differentiation of mental functions and psychological, socionic personality types are traced, including the formation of their complete integral system, which is connected by intertype relationships - socion. It is shown that the evolutionary differentiation of biopsychic modules identified by anthropologist and linguist Stephen Pinker, supplemented by the authors, and brought together by us into a single system of interactions among themselves, led to 16 differentiated types of psychoinformational interaction with the surrounding world in small protohuman groups. These types specialized in certain aspects of perception, identified by their specific mental structure, and interaction with the outside world, its properties, people, food prey, etc. At the same time, the formation of a system of intertype relationships or psycho-informational transactions took place in a person as a social being. This is traced by examples of dual and conflict interactions of the selected and described modules. Key words: socionics, anthropogenesis, working groups, small groups, mental function, working memory, socion, Stephen Pinker, psychology, dimension of mental function, informational model of the psyche, structure of psycho-informational space, brain development, intertype relationships. The issue of increasing the theoretical validity of the diagnostic tools of the Reinin trait “process / result” is considered. Key words: socionics, Reinin traits, process, result, model A, group of stress. 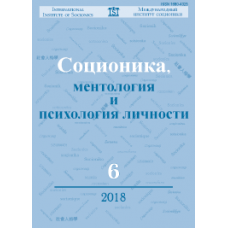 The information that is used to determine socionic types according to the methodology of the School of Systems Socionics is popularly described. Key words: socionics, TIM diagnosis, typing, model A, vocabulary, semantics, control emotions, motive, attention, translation of control. The article investigates an approach to assessing the effectiveness of interaction using the theory of G.A. Shulman. Intertype relations between the subjects were determined by the method of V.V. Gulenko. The article analyzes the data of three experiments with a total number of participants more than 400 people. A new table of intertype relations based on the theories of G.A. Shulman and V.V. Gulenko is proposed. A new approach to assessing the effectiveness of interaction in a pair based on this table is proposed. Key words: socionics model of intertype relationships, effectiveness of the interaction. 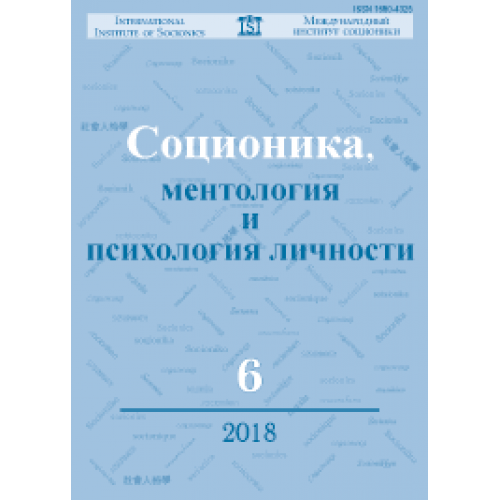 The results of the coordination of the authors’ positions on issues relating to the problem of mathematical modeling of intertype relations are presented. The process of discussion of this problem is presented in the form of a dialogue. Key words: socionics, classical intertype relations, traits‒based intertype relations, groups of intertype relation operators, bipolar traits, groups of central sections of the socion, Augustinavichiute‒Reynin traits, Jung‒Minaiev traits.